The Kapil Sharma Show got back on the small screen with a hope to make people laugh again and it succeeded too, as it can be seen from the show's placement on the BARC TRP report of the past few weeks. 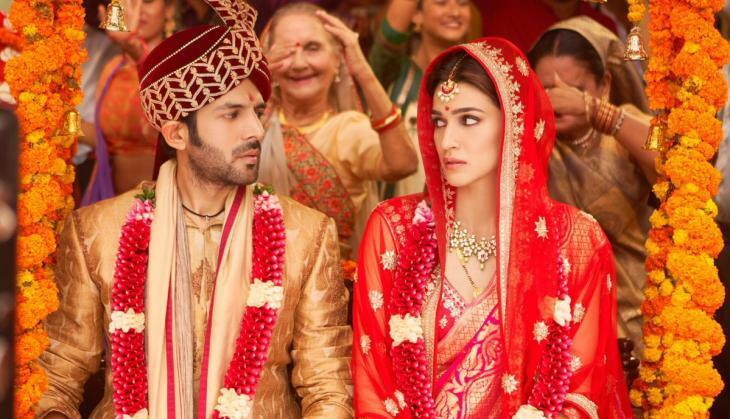 This week the show had Kartik Aaryan and Kriti Sanon as the guests who were there to promote their film Luka Chuppi and it was a blast. The host and the supporting comedians left no stone unturned to make the show exciting. The host Archana Puran Singh was also left laughing after seeing their comedy stints. A video of the show is going viral where Kiku Sharda is seen playing his version of Big B's iconic show KBC called Ke Bhaeel Crorepati. And the came a moment that when everryone could not stop themselves from laughing hard. Kartik and Kriti while playing KBC chose to phone-a-friend while Kiku said that he should call for the audience poll. TKSS recently came into light when Navjot Singh Sidhu's Pulwama terror attack comments striked controversy, later which kapil came to his rescue but everyone started the end of the show. Coming back to the stint, what do you feel about it? Let us know and stay tuned for more updates! ALSO READ: Silsila Badalte Rishton Ka 2 Promo: Yet another love triangle but will this beat Shakti Arora, Drashti Dhami and Aditi's chemistry?